Function:Prefect for decorating house,such as the cabinet,flat screen TV,furniture,the corner,also could be decorate the stage, cloth, multi function according to your prefer. 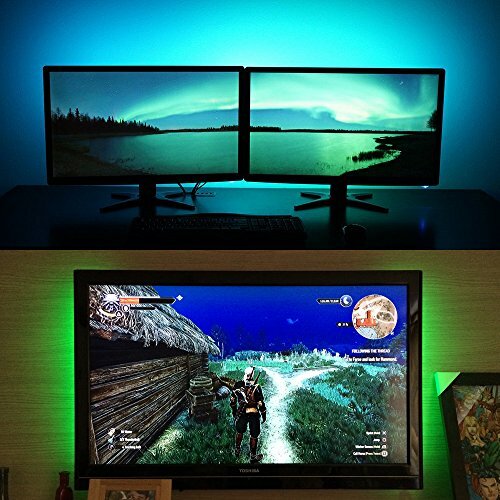 --The led strip with 3M on the back, firstly try to clean the dust where you ready to decorate, that way will stick tightly not easy fall off. --When you adjust the light by the remote control, please operate within 3 meter, and the remote control need aimed at the receiver. --Please remove the sheet from the bottom of remote controller before using it..
--Arrows must be aligned, the light will be bright if you do not clearly ,please try both side. 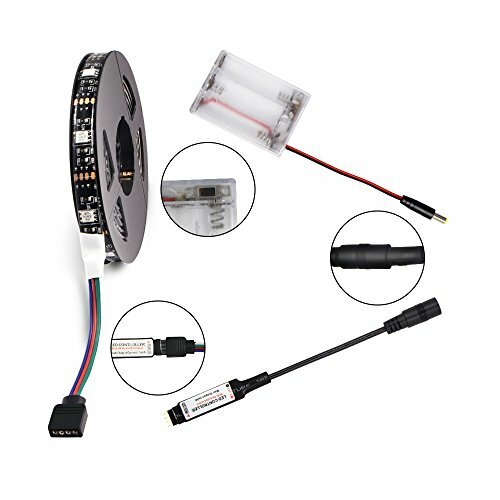 --The battery box with ON/OFF switch and remote controller could adjust the led strip same time, but the remote would be more freely. 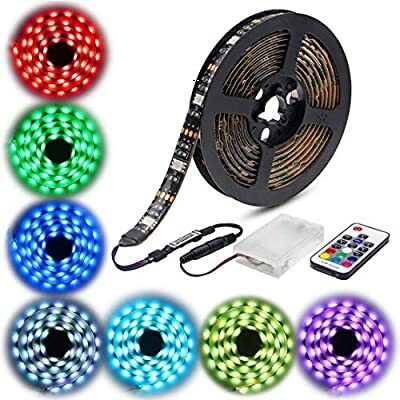 COLORFUL BRIGHTNESS LED LIGHTS: The led strip lights total with 16 different color can be changed,and have 4 different color auto changed way control by remote control,also could be change the Light brightness. BATTERY POWERED LED LIGHT STRIP: The led strip driven by 3*AA battery(NOT include),and with ON/OFF switch,easy install and convenient for decorate anywhere. 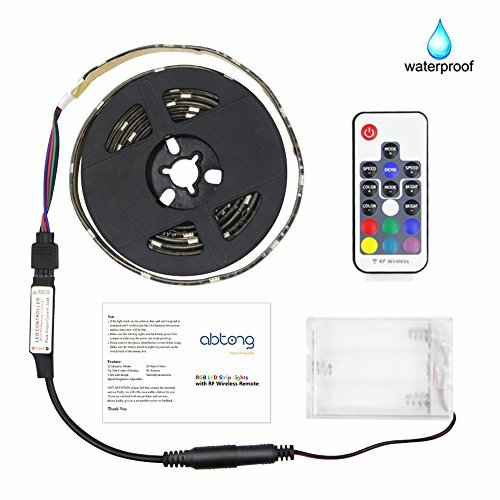 IP65 WATERPROOF:The LED led strip covered with silicon,waterproof, don't worry the water or moist damage the LED light,and safety even touch it. 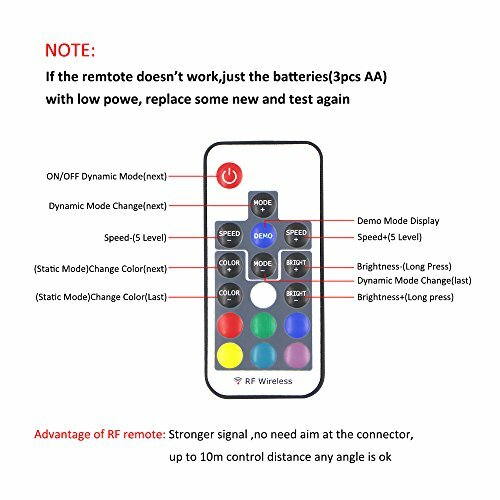 24 KEYS REMOTER CONTROL:16 different color keys+4different color changed way+2keys power ON/OFF+2keys brightness adjusting,multi function remote control but easy and flexible operate. 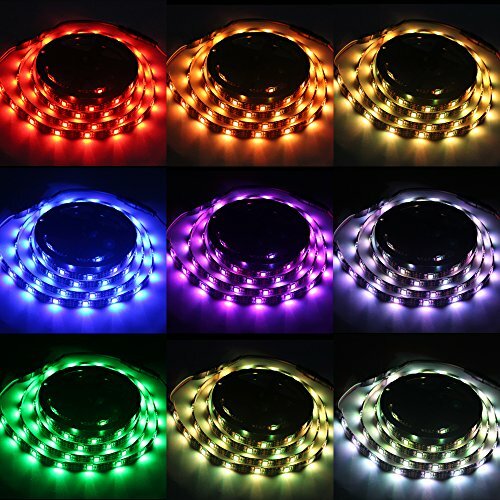 FLEXIBLE SIZE: Every 3leds for one set, could be cut off to meet your different size need and can't damage the light.